If appointed to any emergency works, we allocate significant resources to the works immediately and appoint a Company Director to co-ordinate our approach. Our initial focus is always on securing the site safely, and then on assessing the works to be carried out in conjunction with the Client, before moving to proposed solutions. The very nature of emergency works is that the works have not been tendered, and that the Client does not know how much the work will cost. JCL are generally the option because of our approach to costs on these projects. We work with the Client, give budgets at the earliest possible stage and seek to ensure that Value to the Client is still achieved despite the circumstances. The emergency works that we have carried out vary from €10,000 to €1,000,000 - we are hugely flexible in this regard and take the same approach without reference to the value. We do not seek to maximise emergency works, but rather view them as an opportunity to reinforce existing relationships with our Clients. 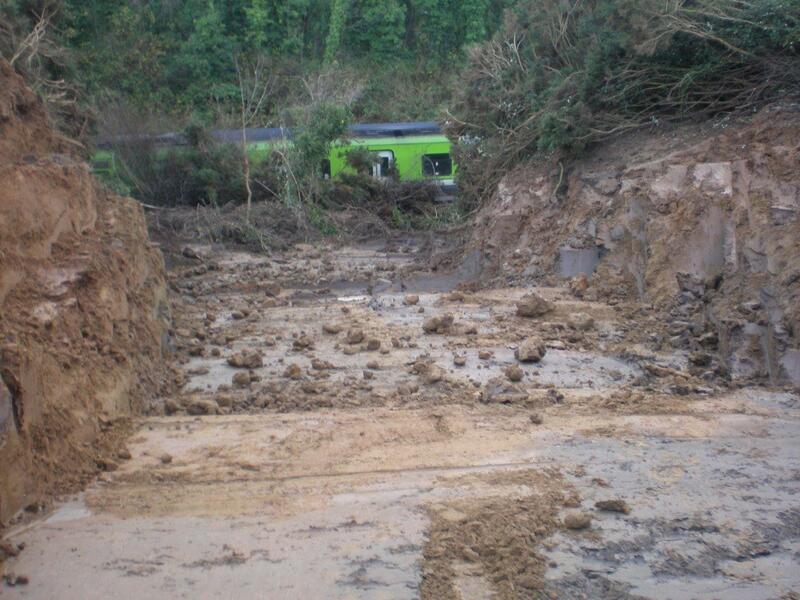 In November 2009 JCL received a call from Iarnród Éireann after a train derailed in Wicklow following a landslide. JCL were onsite at Wicklow Station with 1 hour of the event occuring and commenced works the same day - the site was secured, the train and all debris removed, and the railway was fully operational with 4 days. JCL took on the design function and strengthened the embankment adjacent to the live line. John has almost 50 years’ experience having graduated with a degree in Civil Engineering from University College Galway in 1969. He is a former president and founding member of the Civil Engineering Contractors Association. He founded JCL in 1987, and developed the company’s capabilities to deliver flagship projects.